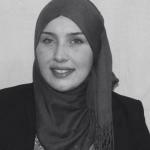 Zenagui Safia is a PhD student enrolled at Tlemcen University. She is part of the Water and Energy Security in Africa (WESA) Project. In frame of this project, she has a supervisor from Tlemcen University and a second supervisor from UNU-EHS. The research focuses on the challenges of the implementation of Integrated Water Resources Management (IWRM) in West Africa with more focus on access to drinking water supply and sanitation. Her Masters research was a technical-economic study of the use of Roller Compacted Concrete (RCC) in small dams with case study in Algeria. The results were published in “Applied Water Science” Journal in May 2017.